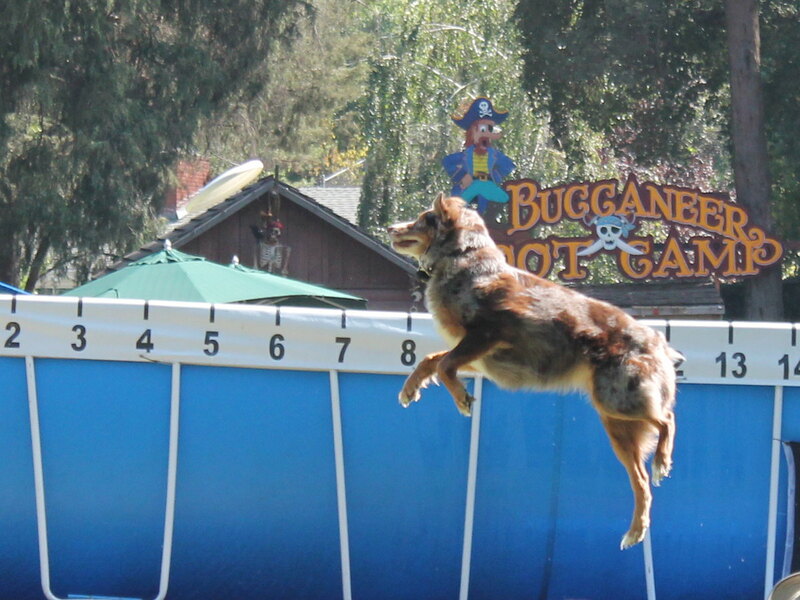 Stan’s Obligatory Blog » County Fair time again! 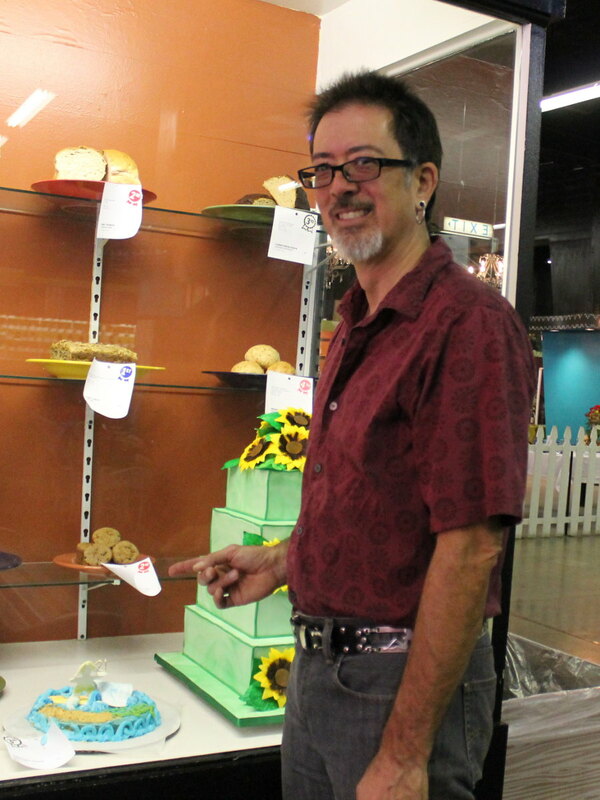 It’s time for the 2013 Los Angeles County Fair, and time to go visit my award-winning blueberry muffins in the display case there. We got lucky this time, and it was a very pleasant day. Usually, it’s blazing hot out there in Pomona, but today was very nice. Warm in the sun, cool in the shade, and with a pleasant breeze. We went to see my muffins first. The ribbon came in the mail last week, and I’m quite pleased that these are my first non-cookie prize winners. We spent a bit of time looking around at everything else there. 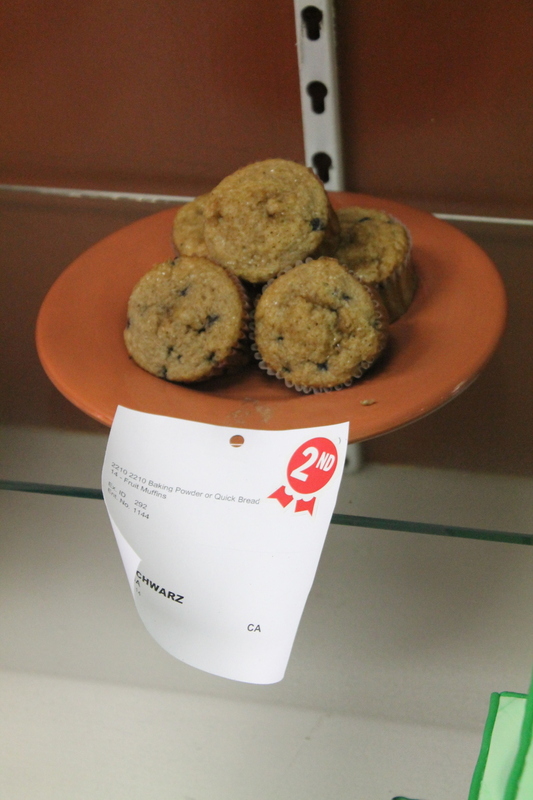 I’m hoping they come out with a cookbook of the winning recipes this year, so I can try making the muffins that beat mine. I want to know what’s in them. 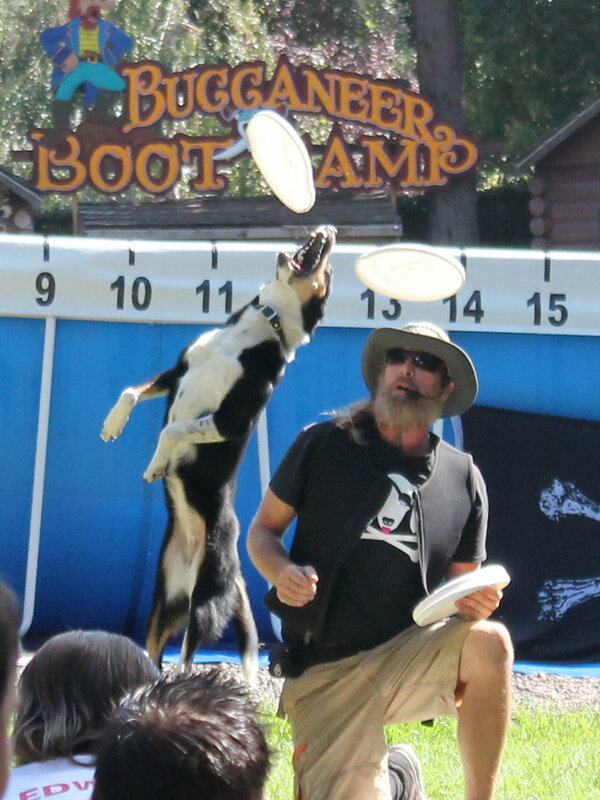 After lunch, we got some Dr. Bob’s ice cream, and then went and saw a show with dogs leaping in the air catching frisbees. 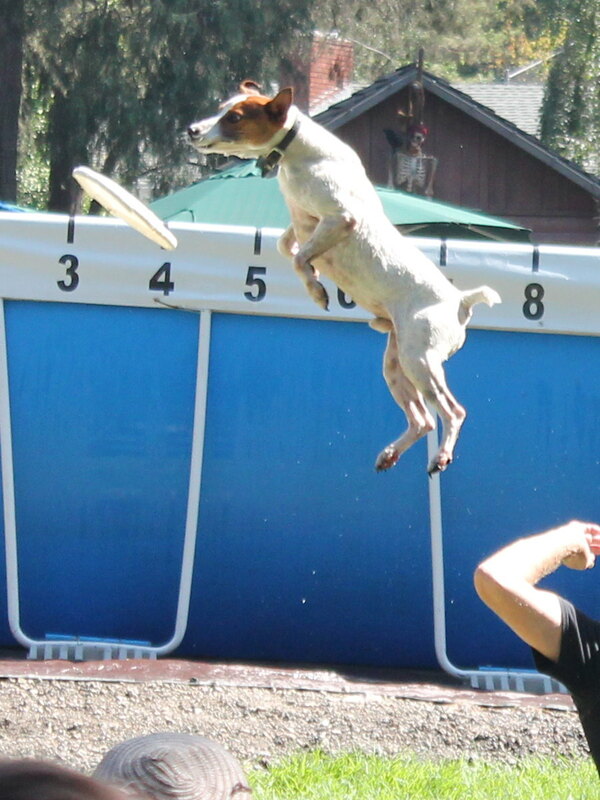 That was entertaining. 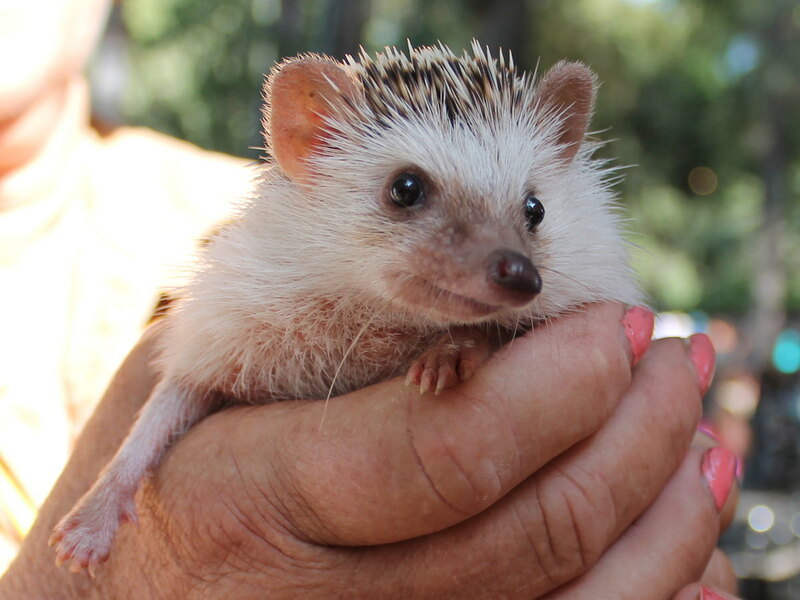 We also got to pet a hedgehog. Then we walked over to the old train exhibit. I’ve wanted to see that for a long time. 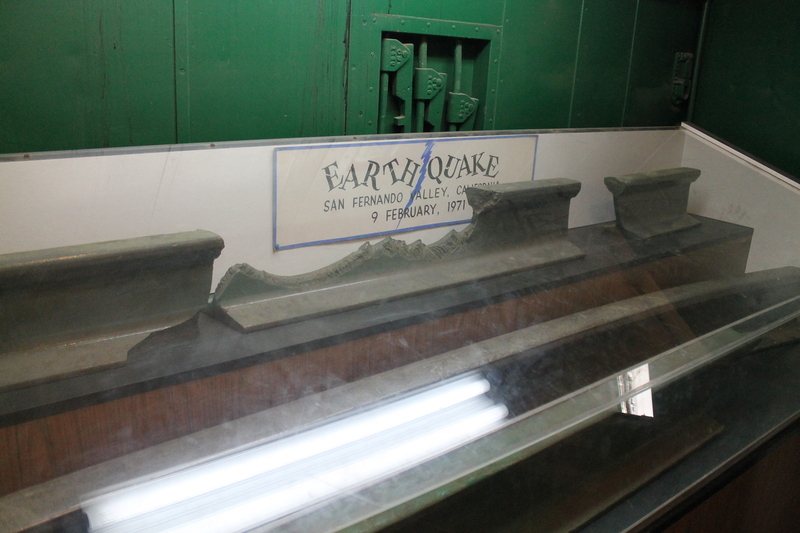 And we saw a display case with some bent and broken rails from the 1971 San Fernando Earthquake. 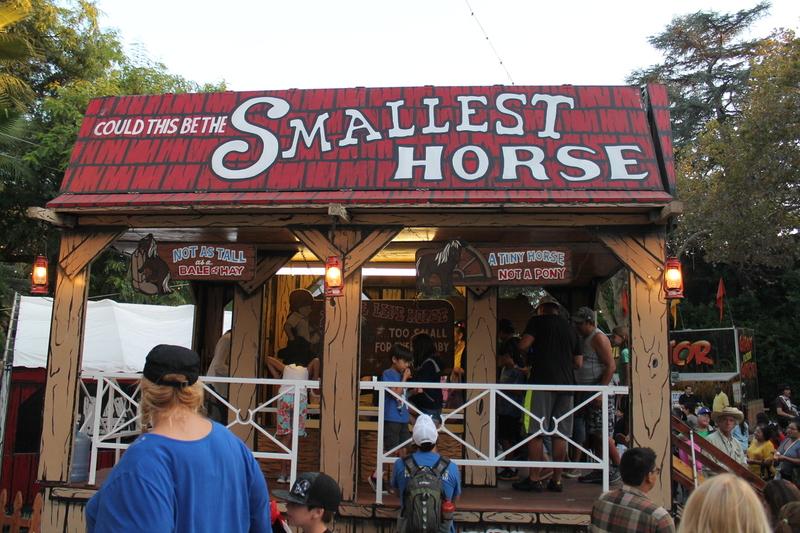 We took a turn through the buildings where they have all the booths selling random stuff. 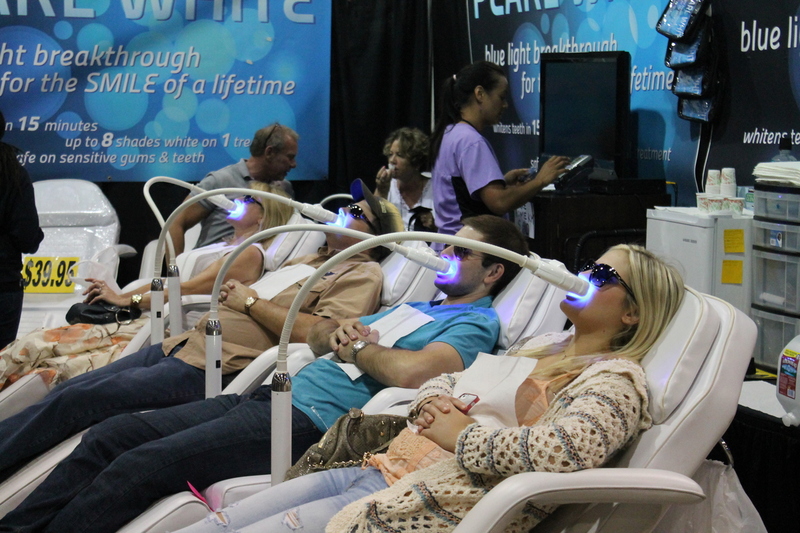 I thought the teeth-whitening booth looked kind of creepy. Like something from “Alien”. And then it was time for the pig races. 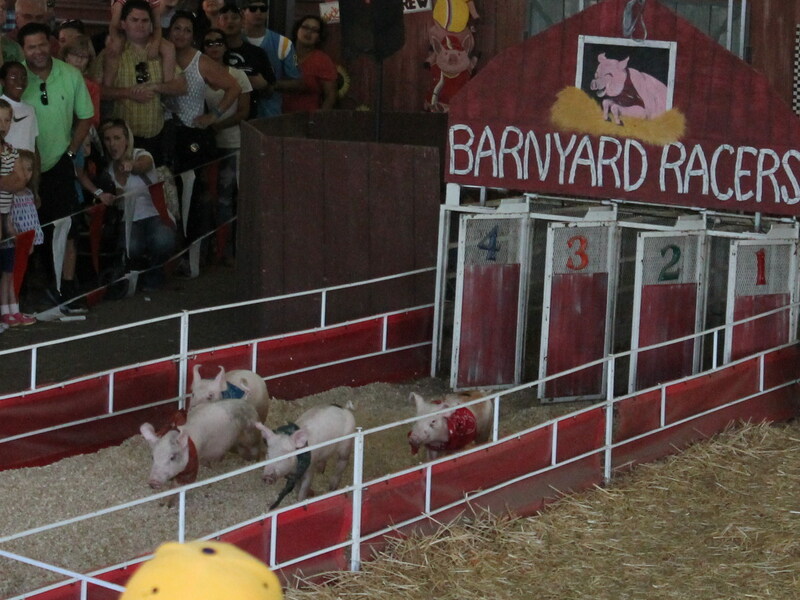 The pig races are entertaining, and we get a coupon good for a free pound of bacon. What’s not to like about that?